Having a message to shout about is fantastic, but if you aren’t displaying it in a way that makes it easy to see? Your message will go unnoticed. Using a display holder makes sure that your messages are stored in the right place to be noticed. 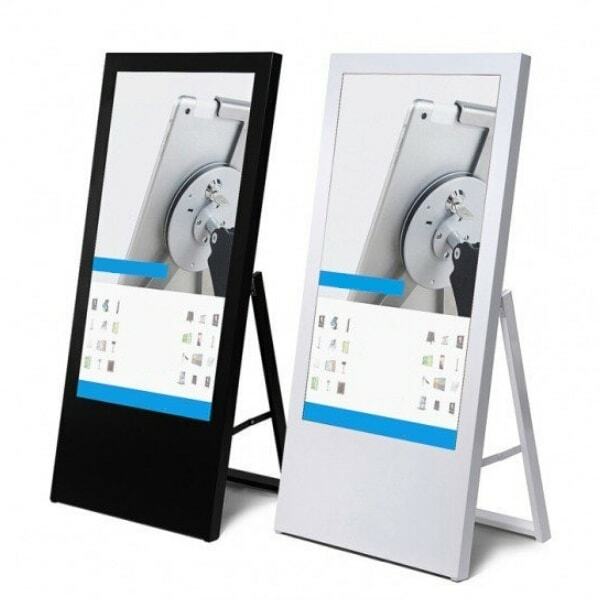 From A-boards that can be used to add your own A1 sized posters on a garage forecourt to an iPad holder to secure your tablet while at exhibitions, we have a wide range to suit your needs. See our range of display holders above, or give us a call on 0808 250 8799. Why choose Express Exhibition Displays? 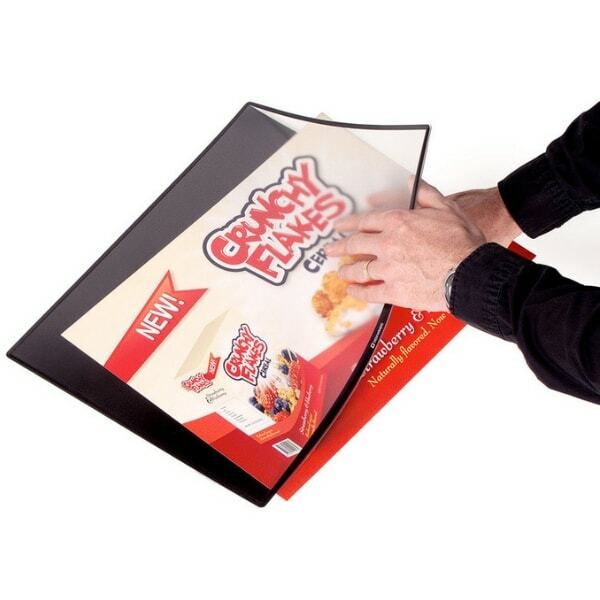 As well as being experts in large format printing, we understand that your display is only as good as its holder. Where can you use display holders? Where do you need people to see it? Will it need to withstand weather conditions/ have a water fillable base? Will you need to be able to transport it/move it easily? 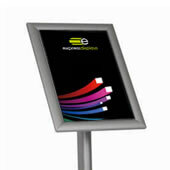 We have a wide range of display holders, ranging from weather resistant displays to indoor sign holders. No matter how big or small your display is, we’ll have the right holder for you. Sign holders which hold messages from A5 to A0 and include freestanding, tabletop and wall mounted options. 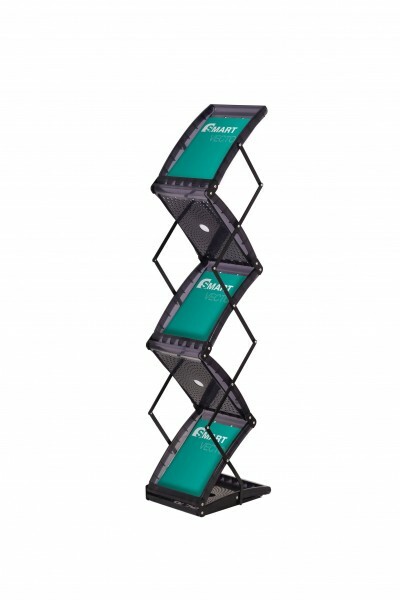 Literature stands can hold leaflets, flyers, brochures and any other literature neatly. From single sided to double sided options from DL to A3 – we have a wide range of sizes to display your literature. 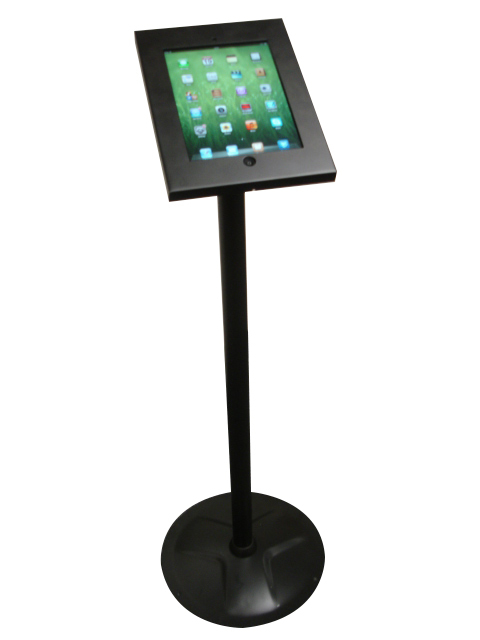 iPad holders – hold tablets and iPads securely in place to be used by your potential customers. For outdoor use where you need to attract attention from people that are further away – the holders are larger to accommodate this. Outdoor A-Frames are lightweight outdoor displays and perfect to adding outside your shop – or our smaller ranges are perfect to add as semi-permanent direction signs both indoors and outdoors. Outdoor pavement signs – our full range of pavement signs also include more robust outdoor display holders that are perfect for all weather conditions with weighted bases. They can even hold messages up to 40” by 60”. 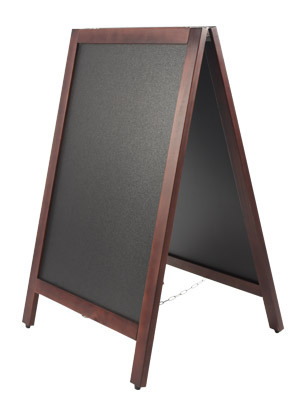 Chalkboards – If you’re looking to write your own display, then our range of chalkboards are great. You’ll often find them outside restaurants, cafes and book shops – as well as showing quotes of the day from independent retailers. If you can’t find what you’re looking for, use our live chat facility to talk to one of our customer services team.